Welcome to the Kids Play Activity Day Camps FAQ page, please see below a selection of frequently asked questions about our holiday clubs. If you have a query which is not listed below, please ask your Day Camp manager who will be happy to answer. Where are your Activity Day Camps held? We run several sites: 7 venues in Milton Keynes and 1 venue in Bury St Edmunds. 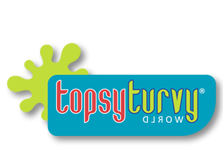 In addition, we operate the Activity Day Camps at topsy turvy World, Willows Activity Farm, Mead Open Farm and Rand Farm Park. What is included in the Day Camp price? Our online booking system for Day camps is easy to use and will automatically work out the lowest price incorporating sibling discounts, multi-day reductions and special promotions. Click here to obtain your quote and book. At all sites we offer a discount if you book a sister or brother in. Again, our online booking system automatically calculates this discount. What are the offer Terms & Conditions? Save 10% Early Bird Bookings Book your 2018 Activity Day Camps in advance and you will save 10%. Early booking deadlines vary for every holiday. Make sure we have an up-to-date email address for you, so we can send you details about Early Bird Booking dates and exclusive offers. Terms & Conditions: Not valid with any other discount offer. To obtain this offer you must book online and pay in advance by the Early Booking Deadline. Bookings made after each deadline for the respective Holiday Dates will be subject to our standard day rate. No refunds or date changes are possible unless Cancellation Fee is purchased. You cannot transfer bookings into another child’s name. Childcare vouchers are accepted for this offer and must be added to your account prior to each Early Booking Deadline. Multi-Pass Bookings: Book 10 or more day passes before 5th March 2018 and save 20%. Terms & Conditions:Offer ends at midnight on Monday 5 March 2018. 10 or more Day Passes must be purchased in one transaction for offer to be valid. Parents do not need to confirm dates of attendance, when purchasing 10 or more Day Passes. All Day passes must be redeemed within 12 months of purchase and cannot be carried over. Day Passes are valid for one named child only, are not transferable and must be used at venue chosen on booking. Refunds not applicable unless cancellation fee is purchased. Not valid with any other discount offer. Childcare vouchers are accepted for this offer and must be added to your account prior to the deadline of 5 March 2018. What is a multi-day reduction? At selected sites, we offer a discount if you book one child into an Activity Day Camp for 5 days in one week (4 days on a Bank Holiday). Please note that these work like a gift voucher, so you must purchase the multi-ticket before booking sessions. Our online booking system automatically calculates this discount and shows the total upon check-out. Terms & Conditions: Not valid with any other discount offer or Earlybird Deadline. To obtain this offer you must book online. Only available for the following venues: Camp MK Childcare Hub (Over 7s), Camp MK Childcare Hub (Under 7s), Camp KP Bury St Edmunds, Odds Farm Park, Mead Open Farm, topsy turvy, Willows Activity Farm. No refunds or date changes are possible unless Cancellation Fee is purchased. You cannot transfer bookings into another child’s name. Childcare vouchers are accepted for this offer and must be added to your account prior to purchase. 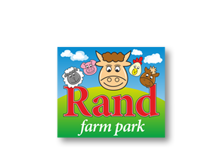 We accept all major Childcare Vouchers, Visa credit & debit cards, Visa electron and Mastercard credit & debit cards. Do you charge a surcharge for credit cards? No, we are the only multi-site operator not to charge a surcharge for credit card bookings. How do I book with Childcare vouchers? 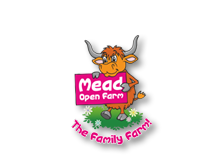 Our Online Booking System allows you to book and pay using Childcare Vouchers. The activities vary enormously and are different for Under 7's and Over 7's. Click here to visit our activities page for full details. What did your OFSTED reports say? We work hard to maintain high standards and this is reflected in our OFSTED reports. 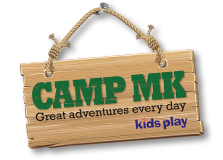 All our Kids Play Camp MK and Camp KP reports can be viewed by clicking here. What are Trip Days & Why do they cost more? Once a week, we take the children out for the day away from the site. The cost of the day is typically more expensive than a standard day as this covers entrance fees, transportation and extra staff. 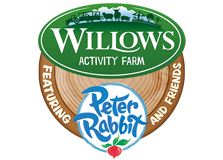 All food and drinks are provided at our activity day camps, please let us know about any dietary requirements when registering your child. Do I need to bring extra equipment for activities? Please check our activity schedules – we often take the children swimming once a week during the holiday period, its best to check your notifications on your Kids Play account each time you make a booking! Our opening times vary between each site. You can find your nearest activity day camp here.